Fighting games have seen a consistent rise in popularity over the years. While fighting game tournaments have been popular for years, with some of the earliest being on arcade machines, they are really growing into a mainstream form of competitive e-sports. With games recently getting a spotlight on ESPN, competitive gaming is really beginning to grow into a respectable competitive genre. However, there were always gaming tournaments, whether they were small, local tournaments or bigger with massive prize pools. EVO, or the Evolution Championship Series, has been holding larger scale tournaments since 1996. Ever since, they have only gotten more popular, and certain fighting game competitors and the games themselves have become legendary due to how well they did (such as Super Smash Bros. Melee, and Jason Zimmerman, also known as Mew2King.) Now, it’s 2019, and with many more games becoming extremely popular over the last few years like Tekken 7, Dragon Ball Fighterz, Super Smash Bros. Ultimate, and Super Smash Bros. Melee (which is still going strong. ), EVO has been bigger than it ever was before. And with many more fighting games coming out and growing in popularity in 2019, such as Mortal Kombat 11, Samurai Shodown, and Under Night In-Birth Exe:Late [st] (mostly known as UNIST. 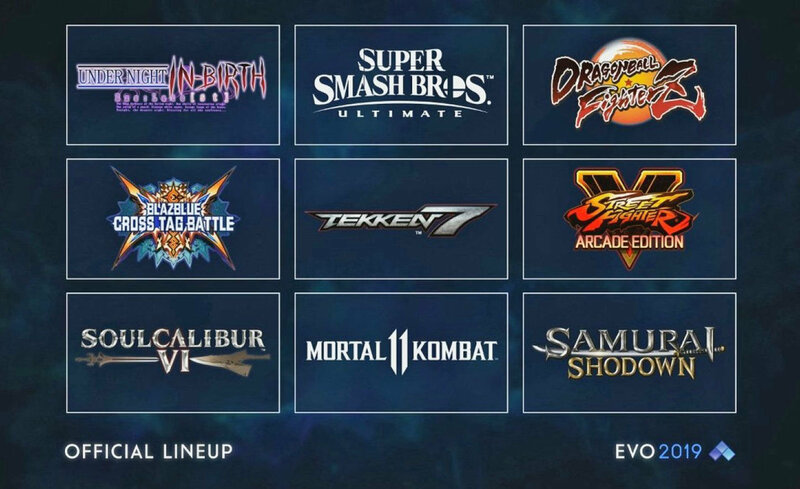 ), EVO has to adjust its lineup and some games were sadly cut from their lineup. Sadly, one of the biggest games for EVO, Super Smash Bros. Melee, was cut this year. However, despite its cut, the “Melee” community is still just as strong as its ever been. “I’m sad to see Melee go, but the game will definitely not die from this,” said Prep senior Danny Cooper, who has recently become interested in the series since his purchase of Super Smash Bros. Ultimate. However, it has led to many new games like UNIST, which has been a niche game ever since its original release back in 2012. So it’s good to see that some smaller games will be able to enjoy the spotlight. Either way, EVO is assured to be an amazing show this year.